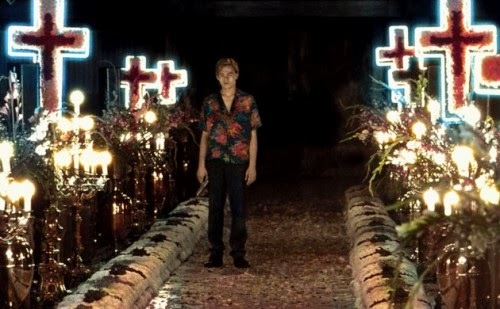 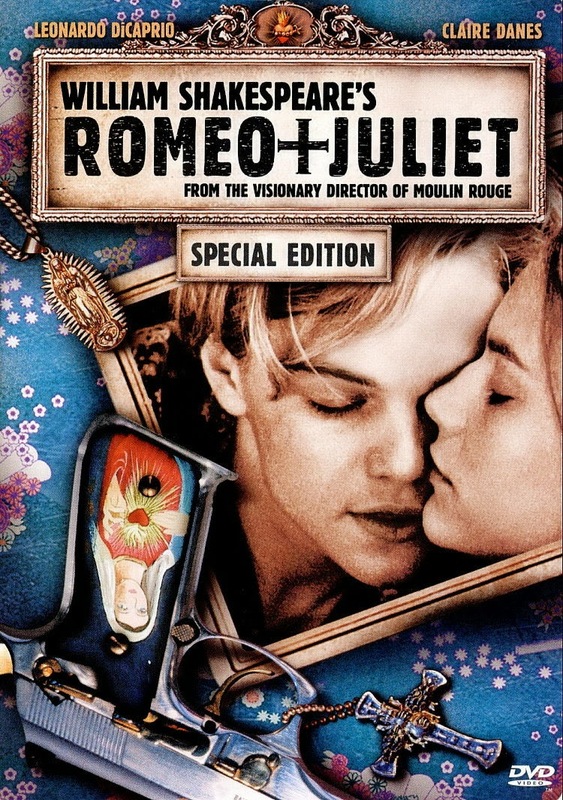 Baz Luhrmann's Romeo + Juliet is Shakespeare in the 90s. 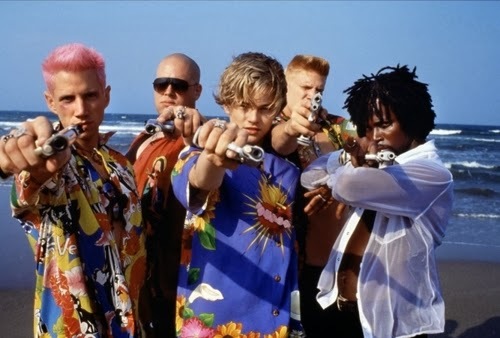 This is Shakespeare with guns & gangs & hawaiian shirts. But don't worry, there are still balconies & knights in shining armor. 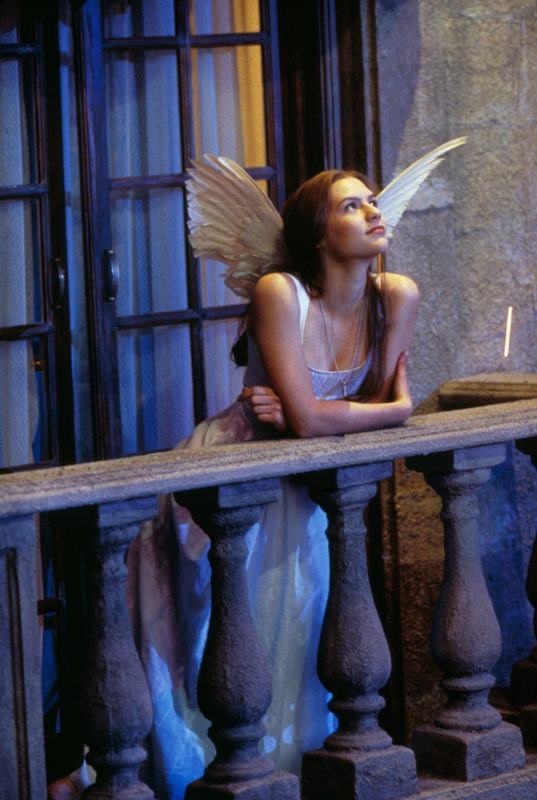 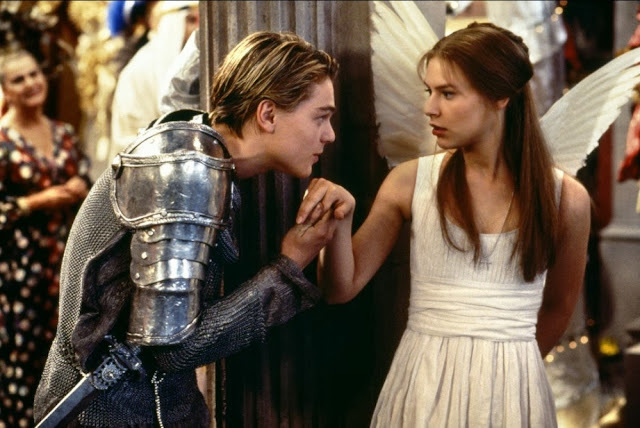 Baz Luhrmann films are usually kind of a spectacle, & Romeo + Juliet is no exception. 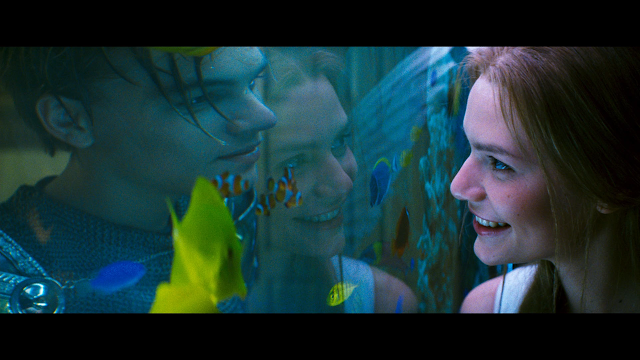 I love the music & the colours. 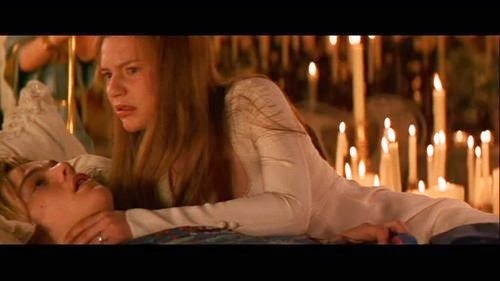 I don't love it when Claire Danes cries, because it reminds me of Beth in Little Women. 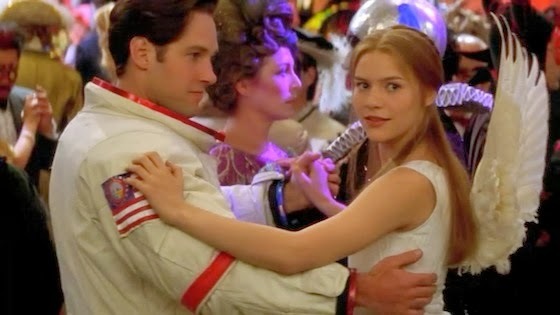 I realize resetting Romeo + Juliet in 1996 California was kind of a love/hate thing. 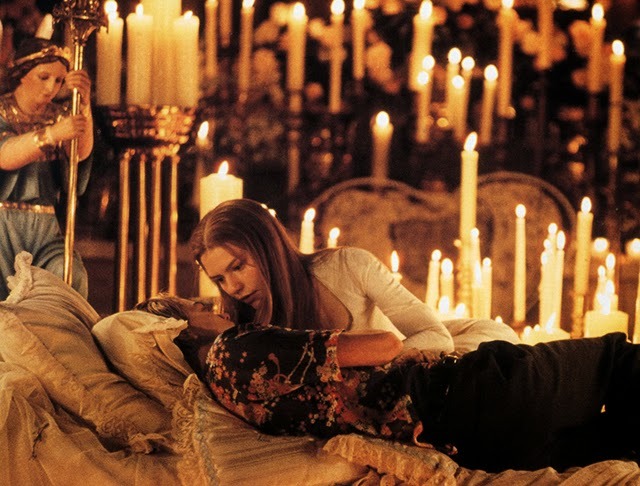 ...which is kind of fitting for the most tragic of all love stories. 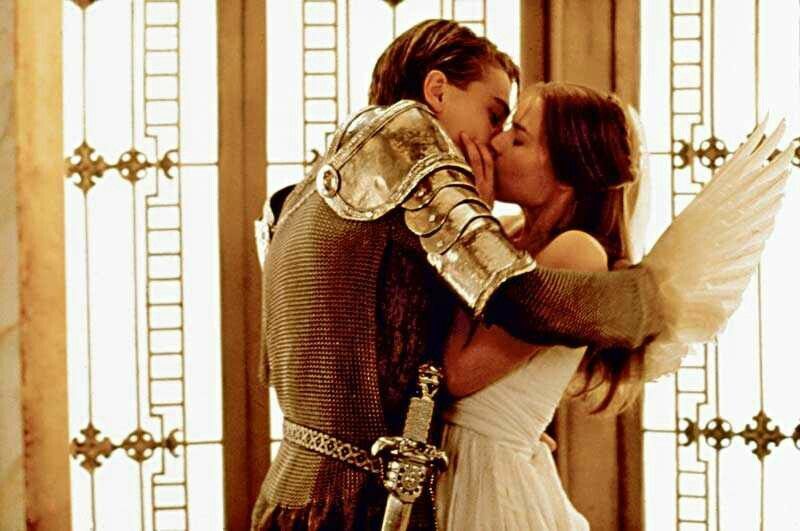 Romeo + Juliet pictures: 1, 2, 3, 4, 5, 6, 7, 8, 9, 10, 11, 12, & 13.